As every man's home is uniquely his own, our aim is to provide individual solutions that satisfy individual taste. Your vision may include handmade Viennese tiles imported from Italy, a wine cellar, a home theater, underground rainwater retention for irrigation, or an eco-roof. Whatever it might be we provide custom automated designs for the options you want. And as we are making important decisions during the construction process you have complete to date cost analysis to aid you in those decisions. Our goal is to create a home uniquely suited for you and your family. Our hallmark standards include the finest building materials. 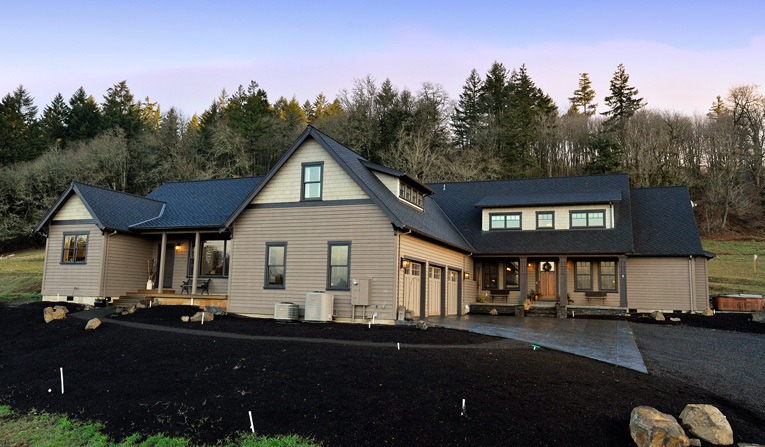 As an "Oregon Grown" company, we're experienced and confident in the energy efficient, regionally-specific materials we use...materials designed for our climate and locale, materials that will last your home its lifetime. We have consistently enjoyed the result of providing this winning equation. And in challenging situations, that can mean the difference.